It’s never too early to begin planning for the future. An essential part of the future is undeniably estate planning. Attorney Damon C. Hopkins understands that estate planning is a critical step in protecting and distributing your assets to your loved ones. When you establish a will, you essentially create your own law, governing how your estate will be administered. If the distribution of your estate is not planned out correctly, there is a chance that the Government may “inherit” too much of your estate. Instead of letting this happen to something that you’ve worked so hard to build, let Damon C. Hopkins help you. Schedule an Appointment with Attorney Hopkins Today. Attorney Hopkins works closely with accountants, brokers, bankers, and other financial service providers to develop comprehensive estate plans that accomplish our clients’ objectives. Your will is an important estate planning document that determines the distribution of assets and property to your loved ones after you pass away. Choosing Damon C. Hopkins as your estate attorney provides you with a sophisticated estate plan for all sizes, types, and complexities of estates. Attorney Hopkins will carefully work with you to determine your unique needs. This is essential in guaranteeing that you get the results you want. Not sure who will make important health care and financial decisions for you when you are no longer able to do so? Establish a power of attorney and a living will so you can rest assured that you are covered if something were to happen to you. By trusting Attorney Hopkins for guidance through the living will or power of attorney process, you will feel confident in the decisions you’re making and receive the assurance that these important documents are completed properly. 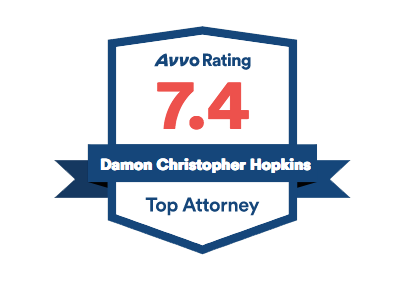 Damon C. Hopkins provides 22 years of experience to people in need of legal assistance in settling an estate of a loved one. He works closely with each estate executor or administrator to ensure that he or she is involved in every facet of the administration, from the initial estate decisions to the final distribution of assets. At other law offices, your estate is handled by a paralegal, but not at Hopkins Law Office. Attorney Hopkins personally handles every estate, taking the time to learn the specific details of your case, looking out for all potential problems, and assuring the timely settlement of the estate. Call my office today to schedule a consultation.